So I decided to do a tank journal. 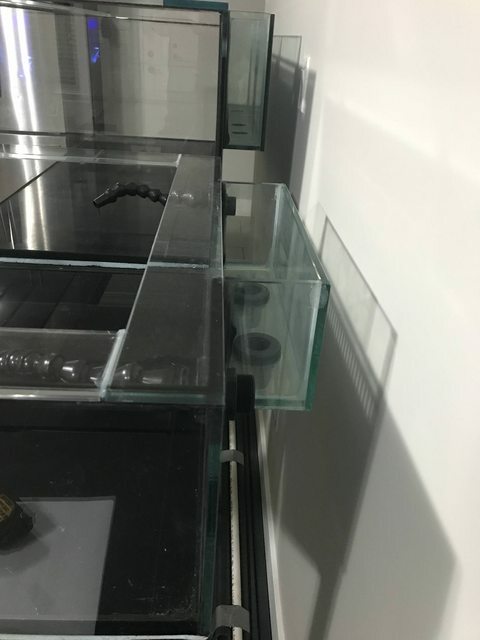 I will have a display tank and frag tank side by side that will have the same sump. I am going the Triton Method as well. 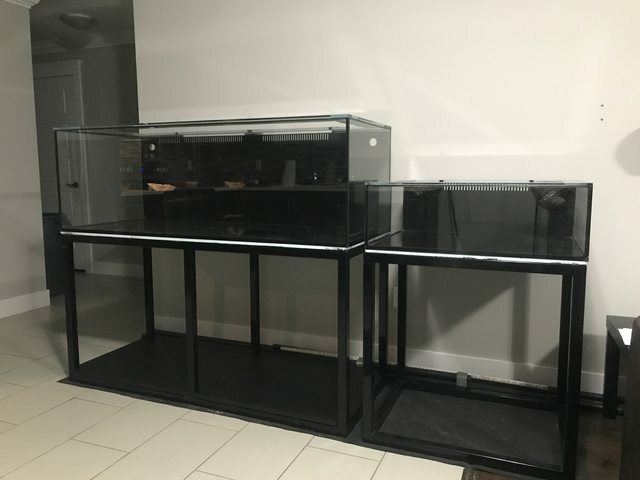 125 Gallon 60L x 24W x 20H. 3- sided Starfire, Starfire Eurobrace, External Overflow (3 - 1" Drains, Bean Animal Design), 2- 1" Returns, Vinyl Back and Bottom. 32 Gallon Frag Tank. 30L x 24W x 10H. 3-Sided Starfire, Starfire Eurobrace, External Overflow (2 - 1" Drains, Herbie Design), 2 - 3/4" Returns, Vinyl Back and Bottom. All Sched 80 Piping and Fittings. Various Sizes. 125 Gallon: 2 - Radion Gen 3 Pros. I may add one more in the future. 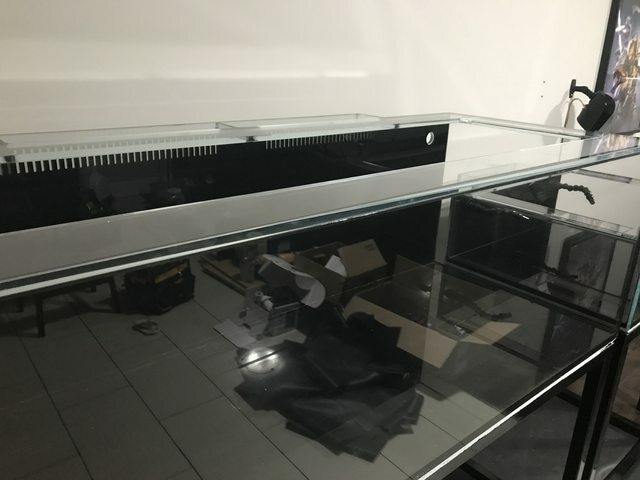 28L x 20W x 16H Refugium, 14L x 20W x 16H Skimmer Section w/ adjustable baffle, 7L x 20W x 16H Return, 7W x 20W x 16H ATO Section. 5 - 1" Bulkhead Drains, 2 - 1" Bulkhead Returns, 4 Probe Holders, 2 - Heater Holders, 7 Dosing Line Holes. 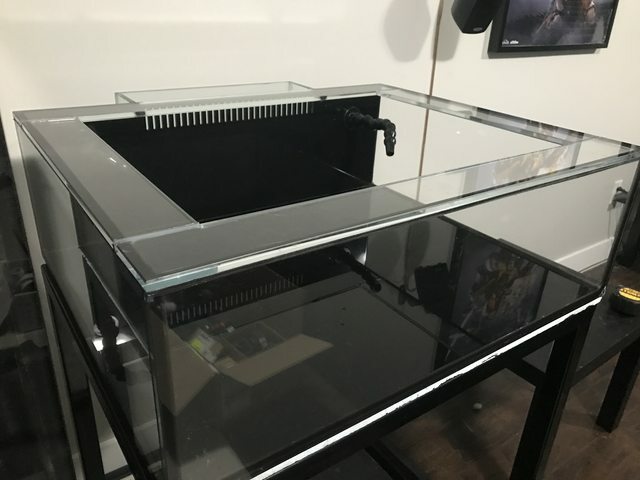 It's a custom made acrylic sump by Elite Aquatics. It is currently under construction. I will upload a photo to give you and idea of what it looks like. It's all black with clear windows in each baffle area. It is going to be a Triton Method sump. Skimmer, Media Reactors, Reactor Pump, Controller (Apex or GHL? ), Doser, Powerheads (Gyre or MP40's? ), ATO System, Fuge Light, and what ever else I can't think of at the moment. If anyone could give me any recommendations on any equipment that would work well with this system please let me know. Nice, following along. What kind of livestock are you aiming for? So today I realized that my stand is upside down! Does anyone on the forum know where to get suction cups? Also I picked up some more plumbing parts. Man this hobby is expensive. I have a contractor discount and it still cost me an arm and a leg! Last edited by WarDog; 01-05-2018 at 09:01 AM. So I guess Photobucket is a pay to see site now and some people can't see the images I have posted. So here are the photos again that are loaded to a different site. Last edited by WarDog; 01-05-2018 at 09:02 AM. I would like a full SPS tank I think. Still thinking about it at the moment. I really like Zoas too! As for fish I really like Tangs and Wrasses. I haven't figured out exactly which ones I'd like though. This is a smaller version of my dream setup! Why are you wanting to go triton right out of the gate? ill be following along on this. Do you have a water fill date? Thanks! Well I’ve been taking my time and doing things properly. I’ve had a few builds in the past to learn from. I have always wanted A Fuge to begin with and I want to try something different. Let’s not forget about not having to do water changes! Looks awesome! Who did the tank build? 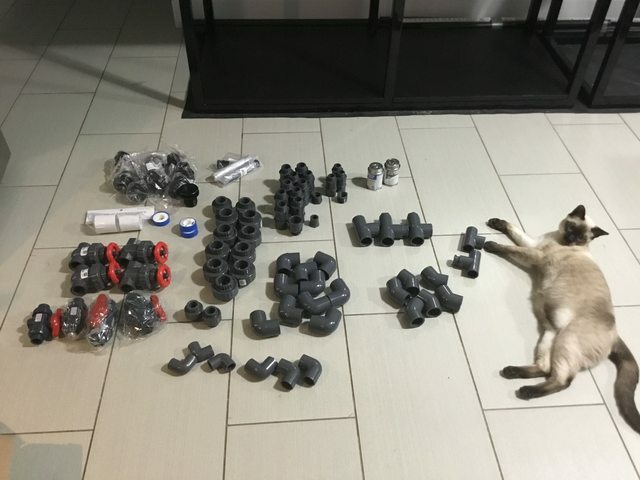 Make sure you post some photos of the plumbing once your finished and the bean animal.